Small white flowers of Amelanchier x grandiflora Autumn Brilliance® emerge from pink buds in April. 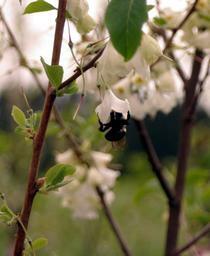 Apple Serviceberry has berries in June that will turn magenta to purple. 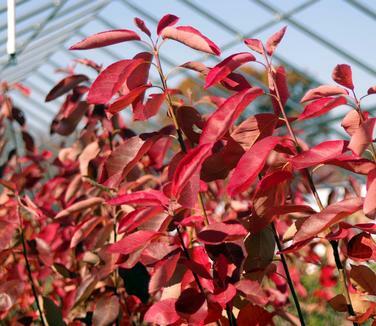 Its brilliant red foliage brightens up the landscape in fall. 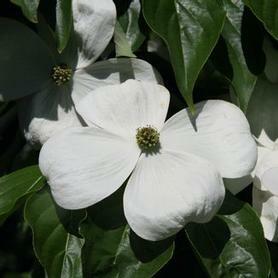 A wet site tolerant plant introduced by nurseryman Bill Wandell of Illinois. 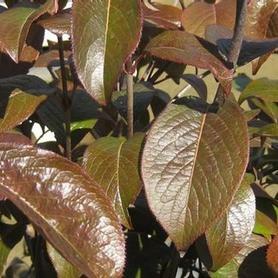 This Amelanchier has an added attribute of retaining its leaves throughout the summer unlike A. canadensis.